Saturday was sunny and breezy for the 1.00pm start of the Milford beach fun regatta. Short notice change of venue – large swells at Milford Beach too much risk of capsizing boats. Jude did a good job of alerting the team to the change and so off to the training ground at Westhaven Marina. As the newbie in the team a little nervous at the thought of swells on the water and what the fun races would entail. The blue gazebo was spotted in prime position at the end of the pier. Balloons and festive cheer adorned the tent as we waited for the event to kick off. Leslie worked hard on the team seating and then put herself in the team (a paddler short) with the awesome Evan as sweeper for the day. The wait for the first race was a little nerve wracking but then we were off, not the best of starts in the swell but could only improve from here!! A debrief from Leslie and plan of attack then off for race two without too much waiting between. Second race much better and concentrated hard on timing and power. Still one heat to go and then a final - not sure what the fun race was to be but needed to focus my energy to complete the set of four. Third race feeling much more in the zone and great encouragement from all the team and the awesome Evan. Could really feel the team working together. Lining up for the final race and what an effort, - first place wow! A great feeling to end the fun regatta and a well deserved celebration. It was great to see and meet team family members and I was very humbled by Johnny and his generous gift of Bridgette’s paddle and other dragon boat items to the team. First regatta completed and it really is great to be a part of this amazing team of women. Looking forward to the rest of the season. One memory I hope never to forget is eating our Hangi in the dark by Lake Karapiro after the National Championships for Dragon Boat Racing. There we were, just our team, sitting all together around two folding tables eating tin-foiled wrapped meals that had been picked up from the back of a truck and presumably cooked underground on a local Marae. The air was crisp. We couldn’t ask for more unless it was perhaps a flashlight to see what the smoky deliciousness was that we were eating. It was a magical moment, having just finished 2 days of hard competition and now wanting to savour the moment before heading off. The moonlight was shining off the lake and it was truly just us eating in the dark. The 30 other teams and hordes of spectators had trouped off after the final 2km race. We sat reflecting on our day. “How about those spirited teenage girls dancing the Macarena in a large 100-girl circle on the slope of the hill leading down to the lake?” Who can forget the young ones belting out Adele’s “Hello” at the top of their lungs - just like we were all at Vector Arena? We weren’t as amused when those young ones chased us down and snuck past us on the final race of the day. They overtook us on the second turn of the gruelling 2km Race. I think we all felt outraged as they powered past us with their youth and enthusiasm, and we were so close that we could have told them off. I wanted to splash them with my paddle, but I needed every ounce of energy just to keep time with my teammates. Instead we tuned out those pretty young things, and stayed focused. I’ll never forget Caro beating the drum and Robynne urging us to REACH…yelling POWER! It was so exciting but so exhausting! The sun had nearly set by the time we left everything we had out on that lake. My throat was so parched that I had to dip a hand into the lake after crossing the finish line. Then I patted my teammates on the back to thank them for their supreme efforts and accepted their pats on my back in a lovely tactile ritual that shows deep appreciation for everyone's effort. Although we didn’t know it as we crossed the finish line, we had achieved a personal best—under 12 minutes for the 2km race! But we did know, in that moment, that all of our hard work had paid off and made that moment possible. Together, we had achieved something really difficult. Amazing how far 20 strangers have come since I joined the team 6 months ago. I feel so grateful to all my teammates for turning up at practice and giving it their all - and setting such fine examples of being good people. For me, Nationals was about Life Lessons and how we strive to be better people. For example, we were all grateful to Jude for coming back to us. She somehow managed to compartmentalise a close family tragedy and still come back to race the next morning. We also thought about our great friend Donna with her youthful face and curly hair who just found out she is facing the challenge of recurrence of her breast cancer. We are all so grateful to them both for joining us in the boat at Nationals despite the immediate challenges they faced. And like a circle, we offered them love and support right back. Nothing special, just listening with our hearts. I hope that by writing this down now, it will help us to remember that night by the lake when we did our best for ourselves and for our teammates. Thank you all for a great season! I arrived at Lake Pupuke for Regionals and it was a beautiful crisp morning with a sea of tents, excited people, and the boats looking lovely on the water with their dragon heads and tails attached. After dropping my things at the tent, the first stop was to join everyone else queuing for a hot drink to start the day! This was my first Regionals and I was nervous. Could I do this, would I survive the 2km race? Yes, I could! The flower ceremony for the BC teams was very moving. All in all it was an amazing day with amazing people. Everyone dug deep and found the energy needed, even for that 2km race! It was also exceptionally nice to have some “bling” at the end... Go Busting!!! The next day was spent lying on the couch! We gathered at the Viaduct early ready to race. The day started and continued in perfect conditions with 24 degrees and next to no wind (could this be true after all these windy training sessions?) Being my first competitive race I was looking forward to the day and the opportunity of putting into practice all the elements we had concentrated on in training. Also nice to be at the Viaduct for a purpose other than eating and drinking! Dressed in our racing shirts and with our light racing paddles it was exciting getting into the small, much less stable, boats. The beautiful dragon heads and tails were attached and with drum in front the boats were quite magnificent. The first two races were run close together and we did good times in both. We came third in our first race and a close fourth in the second, with a mixed team taking first place. We had a long break before our 3rd race which gave us a chance to check out the opposition’s styles, have lunch, shelter from the sun and have a chat of course. In our 3rd race we knocked a few seconds off our previous race time and it felt really good employing the race plan we had gone over in training and seeing the results. In the final we were up against Bay Dragons, Waikato Treasure Chest and Jaffettes Red and came in an extremely close third with only .85 of a second separating 1st, 2nd and 3rd. Paddling in the Viaduct in the confined space and calm water was a whole different experience to training and the feeling of the boat lifting and responding to our efforts during the race was very strong. The day was filled with a lovely sense of competitive spirit and good sportsmanship between all teams. It’s a long time since I’ve been part of a sports team and it feels great to be part of a fabulous group of friendly women who have had a shared experience and to improve fitness at the same time. Go Busting! Ok, so coach says pack for the bitter cold, it will be bitter and when you’re wet you will be cold. DO AS YOU ARE TOLD! Packed to the brim with thermals …. I’m ready! Sunday 20th March (last race day, boohoo ) ….Bing…bong, buzz….buzz…musictunes from alarms5.30am wakeup call………Quick wake up sleepy head in room 4. Chaos - headless chickens - flapping wings and loose feathers going everywhere! Quick showers scoff breakfast down; collect the bathroom stuff and skull a cuppa tea. Check the rooms for any left behinds - Nah, all good. Head count and load up the vans with bodies and gear bags (don’t get the 2 mixed) and “houses" made of bricks! 2000metre race 1st up (due to the gusty winds the day before). Followed by 200metre 20 and 10 man races. The 10 man race was carried out in a 20 man boat! Totally different dynamics involved. Wind and weight take a big part and knowing how quickly things can change in a flash on the water all eyes ahead and ears turned on. The races were thrilling to be in as well as to watch. All ages of people participated from teens to the more “matures”. It was an honour (to me) that we paddled amongst the great ones, just amazing. Busting With Life, we came, we saw, we paddled our little hearts out - pat on the back to all. A raffle was drawn on the last night of prize giving. Our wonderful coach won the prize and the team cheered and clapped. The prize was a carbon fibre paddle - CONGRATS COACH!. We packed up yet again, this time for the last time of the season. Said our goodbyes and headed for Christchurch to the motel. Lucky for us a restaurant was on site so we booked a table for around 20 of us. Tummies full again we disbursed to our rooms. Got ready for bed and a quick chin wag about the weekends event. We all had a great time, and we all needed to head off to bed early to catch our flights in the morning and throughout the day. No big delays this time and soon we were all back in Auckland to the “rat race" of the day to day issues, basically hitting the ground running. 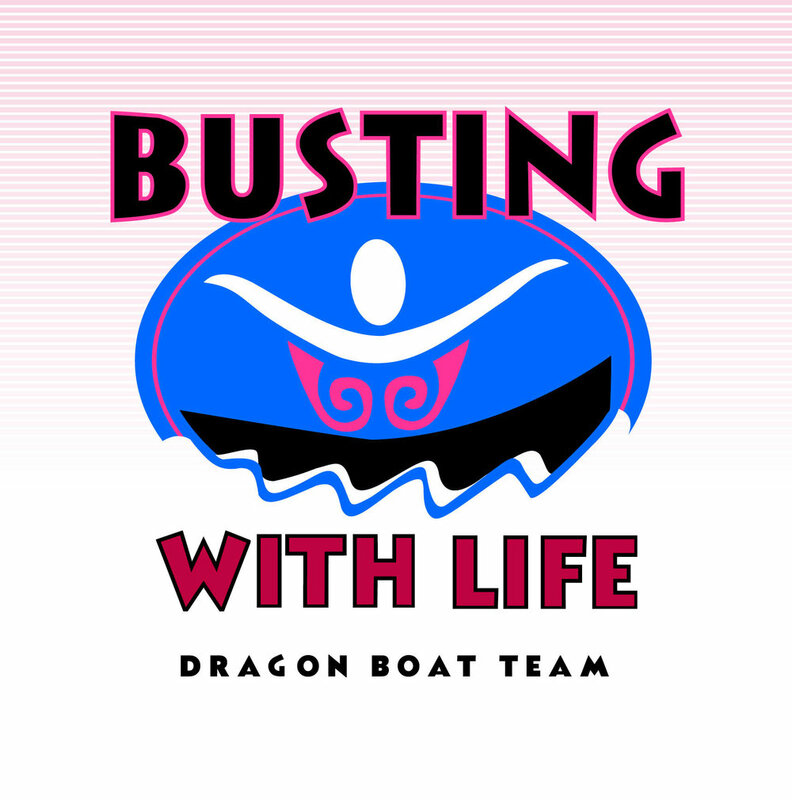 To sum up the weekend’s event, Busting With Life is a team with heart and soul. We care, we strive and best of all, we gel….like chewing gum to a shoe or wax to paddles and other places! We are ready and waiting for the new season to start, roll on summer cause we are “busting" to get back on the water.